You message your Japanese friend: Who are you tutoring tonight? To which they respond: jk. So the tutoring was a joke? Your friend could possibly be free tonight after all? Or are these someone’s initials? Why didn’t you get a clear answer? Well actually, instead of “just kidding,” the internet acronym “jk” stands for 女子高生 (じょしこうせい – high school girl) in the Land of the Rising Sun. It should come as no surprise that Japan has its own unique internet slang. You can call me a Grade-A , ネット中毒 (ねっとちゅうどうく- internet addict). I spend more time than I’d like to admit roaming the internet, ghosting my favorite blogs and watching hours worth of tear-jerking Japanese dramas and cat videos on YouTube. During my hours of internet lurking on Japanese forums and social networks, I’ve picked up a few ネットスラング (ねっとすらんぐ– internet slang) that I’d like to share with you. Below we’ll see the good, the bad and the unusual internet slang that’s dominated Japan’s web. “W” is the equivalent to “lol.” The “w” is short for 笑う (わらう – to laugh). You’ll also see the kanji character 笑 (わらい– laugh) used pretty often. I find that 笑 is more mature sounding (think of “hahaha” vs. “lololol”), and in my experience I’ve seen more guys use 笑 over “w”. This is such a popular acronym that it’s spread from the web and is now found in text messages, advertisements and even modern manga. Try sounding it out and seeing if you can guess what it means first. Did you get it? Wktk means that you’re excited for something to happen. It comes from ワクワクテカテカ (わくわくてかてか), which is a Japanese onomatopoeia for “excited” or “trembling with excitement”. Excited for the second season of your favorite anime to come out? Wktk. Your bff Jill is about to text you about those AKB48 tickets she scored? Wktk. You’re watching the microwave count down the seconds until you can be united with your reheated okonomiyaki? Wktk. Kwsk is another acronym using the Latin alphabet (Spoiler alert: There are a ton of those). Kwsk is short for 詳しく (くわしく- in detail). The real meaning of kwks is “Give lots of detail(s), please!” or better known, “Details, please.” You’ll find this on all corners of the internet. Another way to be polite when asking (begging) for something is by using 4649 (also written as “yr” and “46”). The number four stands for よ, six is ろ, 4 is し and 9 is く. Together these numbers stand for よろしく (please [requesting]). You don’t have to be a big gamer to use these next four. 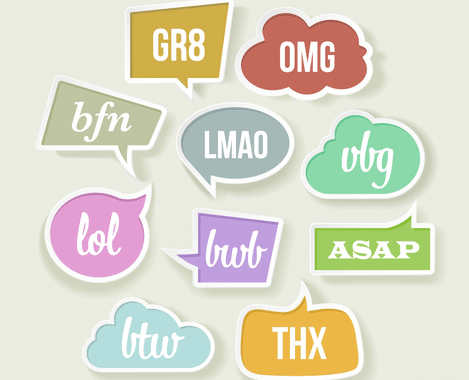 In fact, some of these slang words will still be seen around forums and chatrooms. Since the Japanese number five is pronounced as “ご,” it’s pretty easy to guess the meaning of “55!” when it’s used on the web—especially if you’re about to embark on an online battle with your gaming partners. Right before a game starts, or when you’re about to take down the final boss you’ll see 555 (ゴー、ゴー、ゴー！- go, go, go!) written in the chat (if your partner’s not already shouting into your headphones!). おめ is an abbreviation of おめでとう (congratulations). Think of it as saying “congrats.” I first ran into this after finishing a virtual game of 七並べ (しちならべ – Sevens card game), and ever since have spotted it anywhere congratulations are due (in the virtual world). If you looked at the example above, you may have noticed that Player 2 says “あり” after being congratulated by fellow players. あり stands for ありがとう (thank you). In my experience on the web, this is used mostly in games as a short “thanks,” but you may still spot it on message boards. A common and quick greeting, こn (こん) is short for こんにちは (hello). It’s used when greeting others in web chats and live-streaming comments, or when greeting someone in a conversation. This pattern of kana character + Latin character is pretty common and can be seen with other ネットスラング like んp (no problem) and うp (upload). No matter where you are in the world, there will always be internet trolls or annoying anons gracing message boards. Here’s a list of some common internet personalities that you’ll run into. If you’re familiar with 2ちゃん (にちゃん – the name of a Japanese textboard), then you’re no stranger to 名無しさん (ななしさん – anonymous user). Don’t confuse 名無しさん for a ROM (ろむ- read-only member), a person who reads website content, but doesn’t make any comments or posts. Have you ever been on Facebook or Instagram and seen a #bff or #friends4life tag or sticker? ズッ友 (ずっとも) is the same. ズッ友 is a combination of ずっと (forever) and 友達 (ともだち – friend), making it equivalent to (best) friends forever. A lot of girls use this in photos when tagging their friends. It’s used frequently on social networking sites like Twitter as well. オワコン (おわこん) means “out-of-date.” It can refer to a trend (like an internet meme) that’s no longer popular, or a person/celebrity who’s dropped off the radar. オワコン originally came from 終わったコンテンツ (おわった こんてんつ – out-of-date contents). If a dance parody is no longer popping up everywhere on YouTube or if everyone’s heartthrob is no longer appearing in movies, then they’re probably オワコン. KY is an abbreviation of 空気読めない (くうき よめない), which means someone who can’t read the air or mood. Maybe someone keeps sending you ジュリエットメール (じゅりえっと めーる – love e-mail from a female) or ロミオメール (ろみおめーる – love e-mail from a male) even though you text back “k” or “not interested.” In that case, that someone is a KYな人 (KY なひと – a person who is KY). This phrase has spread from the internet; you may see it in manga or it may even pop up in a few texts. The video streaming website, Nico Nico (ニコニコ, にこにこ) is YouTube’s cousin from overseas. What makes it either fantastically clever or unbearably annoying is that user comments are overlaid directly on top of a video, rather than below the video. A ニコ厨 (にこちゅう) is a person who’s addicted to Nico Nico, or a “Nico Nico addict.” The word 厨 (ちゅう) comes from 中毒者 (ちゅうどくしゃ – addict or junkie). When used alone, 厨 (ちゅう) can mean, “someone who makes childish posts on online message boards.” I’ve seen it combined with a few other words like ゲーム厨 (げーむ ちゅう; gaming addict). Finally, you’ll need to know how to talk about who you’re following on Twitter or which fan group you’ve just joined. If you’re an internet socialite then think of these as your survival phrases for the internet realm. Written in both hiragana and katakana, つい／ツイ (a tweet) is the noun form of “tweet.” If you’re a ツイッター中毒 (ついったーちゅうどく – twitter addict) then you’ll be sending out tweets just as fast as your feed is updating them. The verb “to tweet” is つぶやく (literally “to murmur”). Some people use ツイート（する）(ツイート[する] – to tweet). I usually see ツイートする used when someone is retweeting (リツイートする, りついーとする to retweet) or specifically directing a tweet at someone. This is an easy one! フォローする (ふぉろーする) is “to follow” an account on social media sites like Twitter or Instagram. If you do follow your favorite celebrity (Hiroshi Abe♥), then you’re known as their フォロワー (ふぉろわー – follower). クラスタ (くらすた– cluster) is another way to say “fan group”. If you love Ayumi Hamasaki, then you could be part of a あゆクラスタ (あゆくらすた – Ayu fan group). Or if you’re a person who likes to tweet or reblog meaningful quotes, you could say you’re part of a ネタクラスタ (ねたくらすた – a group who tweets something amusing or interesting). Where can I join the ケーキクラスタ (けーき すらすた– cake cluster)? This is short for ググレカス (ぐぐれかす- google it, scum). It’s used to say “Go Google it yourself” when someone is too lazy to look up information. Since “scum” is a part of this acronym, it shouldn’t be used left and right. Still, you’ll see ggrks all over 2ちゃん (にちゃん). My boss asked me to work overtime, but there’s nothing to do. 誰得? Here’s an article about a five-hundred dollar macaroon that’s encrusted in 24k gold! 誰得? And now, young warrior, you’re ready to use these terms (or at least decipher them) like a pro. Go out there and spam your Twitter feed with what you’ve learned! There are lots of trend and slang words that grace the internet. Since you know the basics of Japanese internet slang, you’ll be able to master whatever new and creative acronym comes your way. Love learning hip, casual Japanese that people actually use? If that’s the case, head over to FluentU.